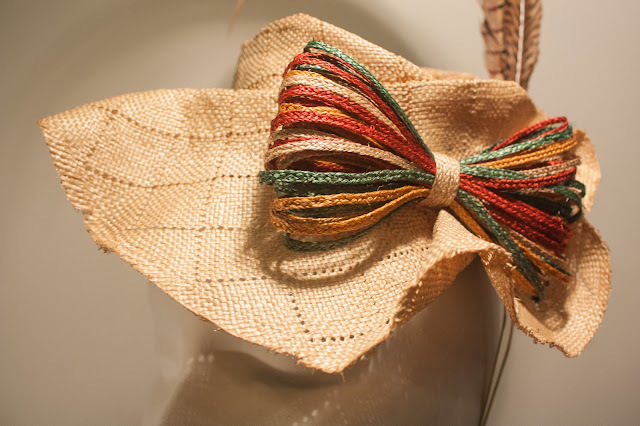 All of the following hats are for sale now in our Etsy shop, they're one-of-a-kind and ready to ship! 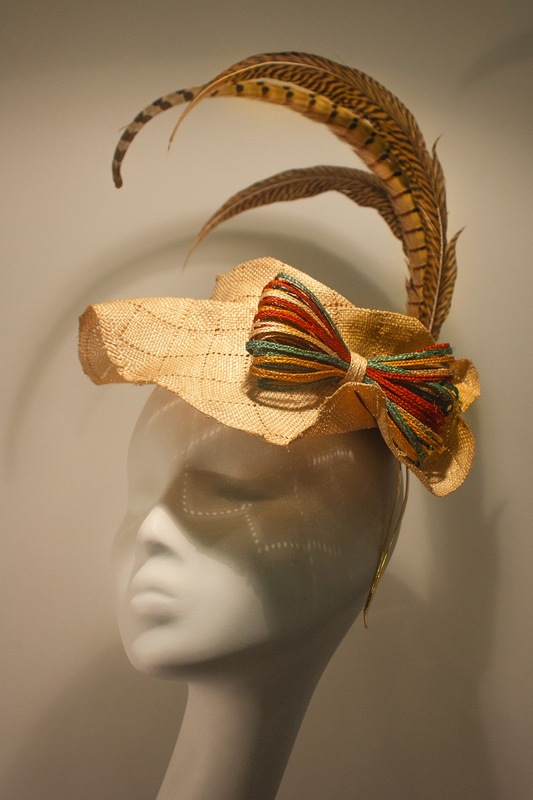 Perfect for weddings, races, or just a jaunt on the town. 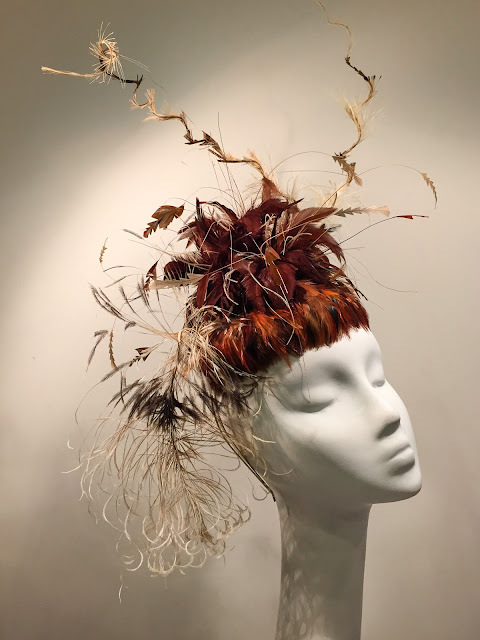 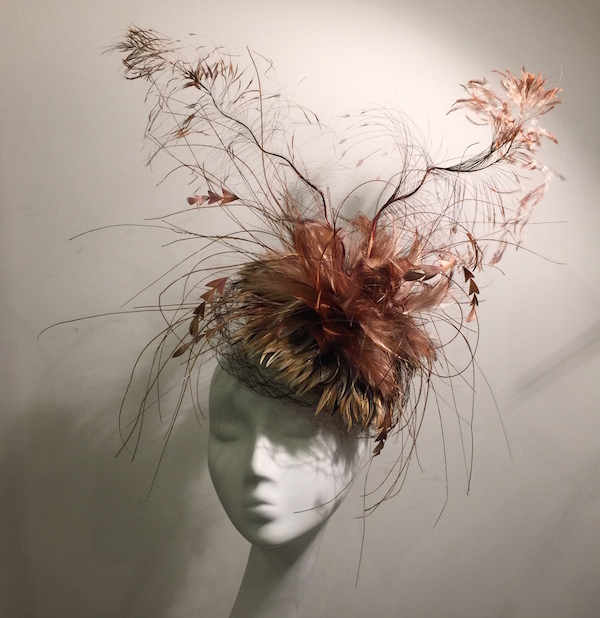 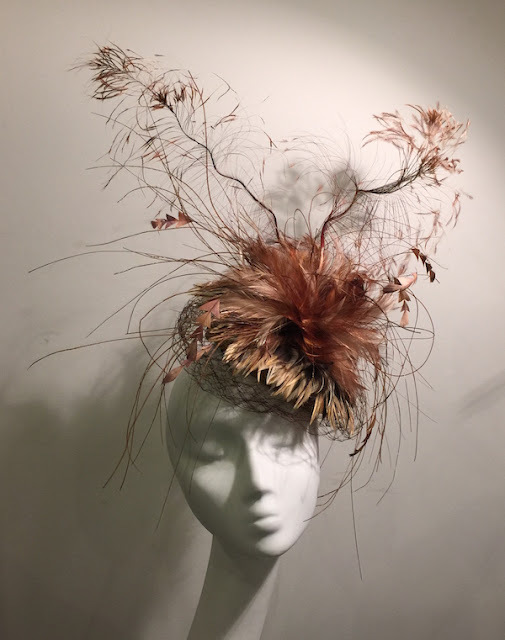 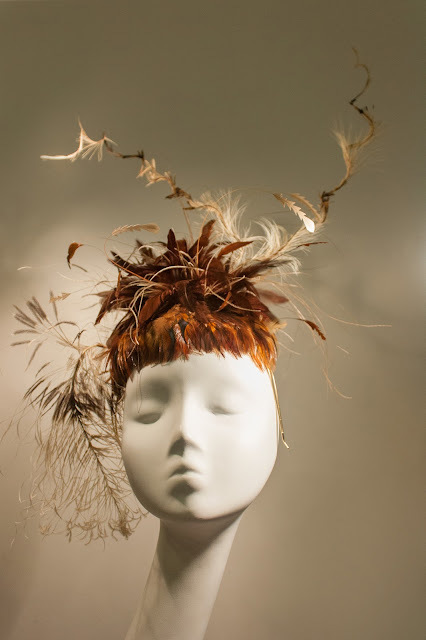 'Art of Motion,' a spiral-sewn straw braid mini pillbox with veiling and a large feather sculpture, in golden brown tones. 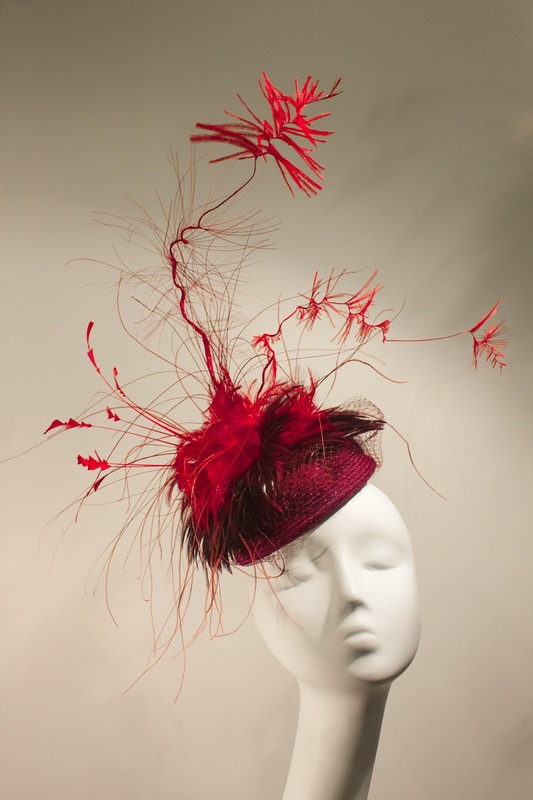 Another 'Art of Motion,' similar to the above but in burgundy and cherry red. 'Special Cocktail' in lace-y vintage straw with a multi-colored straw braid bow and curled pheasant feathers. 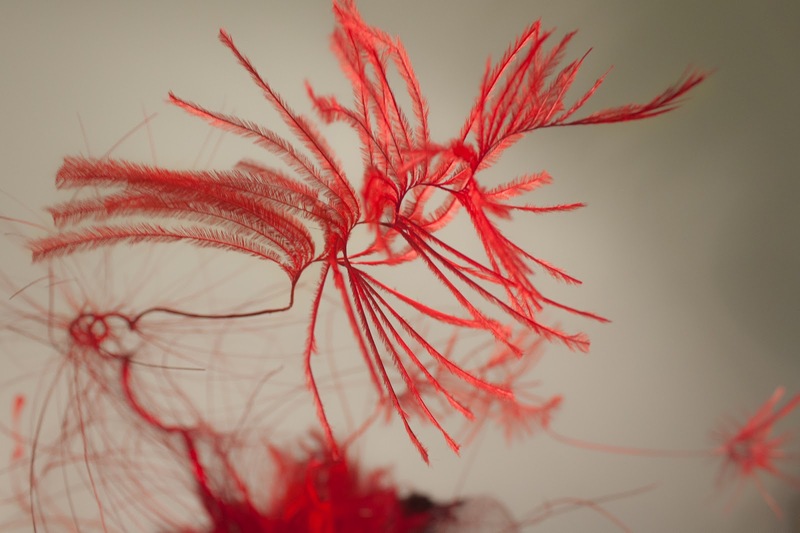 'Silent World Special,' a shocking pink feather sculpture on a base of black coque feathers and straw. 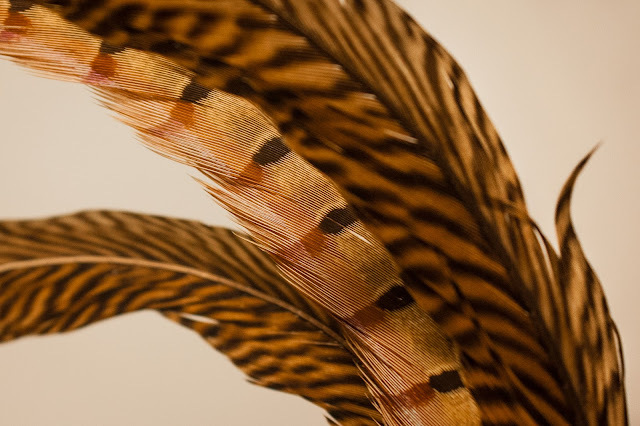 A different 'Silent World Special' in brown tones, with a very special configuration of feathers. 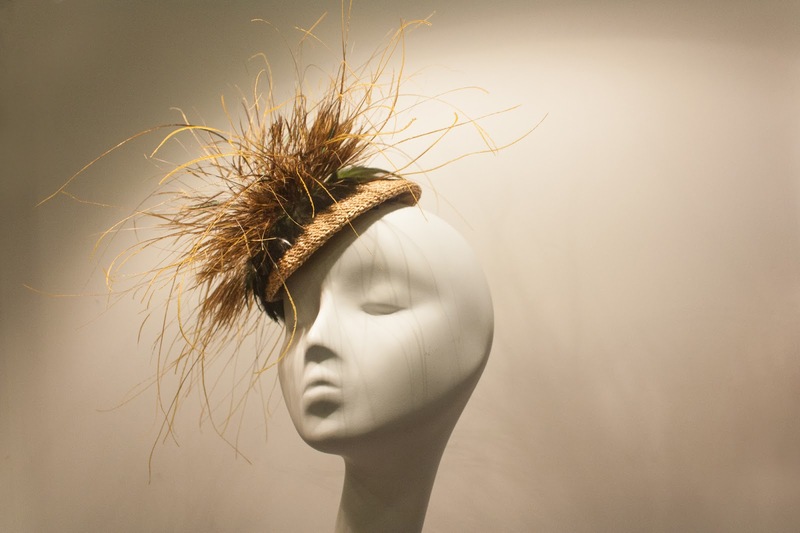 'Vela Pulsar,' a gold feather puff with emerald green flecks and more green feathers below, and a base of beautiful vintage Italian straw.